Ages 6 months to 17 months. Tuesdays, April 2, 9, 23 at 11:15am. Online registration required. Join us for our early literacy enhanced storytime with books, music, rhymes, cuddles and fun! Online registration is required and is limited to Larchmont Library cardholders. Ages 3 months to 17 months. Wednesdays, April 3, 10, 17, 24 at 11:15am. No registration required. 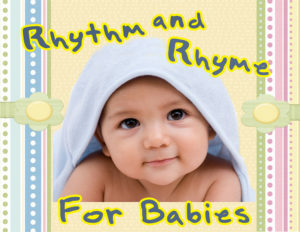 Delight and stimulate your baby’s mind with books and music. A parent or caregiver must attend. Newborn to 5 months. Thursdays, April 4, 11, 25 at 11:30am. Online registration required. Join us for nursery rhymes, songs, cuddles and books appropriate for the youngest of the young. Learn how to introduce your child to words and language by incorporating songs into all your routines such as bath time, diaper changes, getting into the car seat and naptime! NOTE: Please bring a small blanket to lay your child on. Ages 6 months to 17 months. Fridays, April 5, 12, 26 at 11:15am. Online registration required. Join us for our early literacy enhanced storytime with books, music, rhymes, cuddles and fun! Online registration is required and is limited to Larchmont Library cardholders. Ages 3 months to 17 months. Wednesdays, May 1, 8, 15, 22, 29 at 11:15am. No registration required. 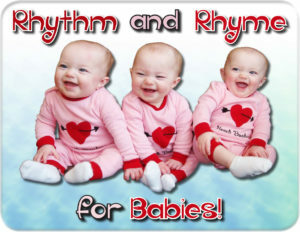 Delight and stimulate your baby’s mind with books and music. A parent or caregiver must attend. Newborn to 5 months. Thursdays, May 2, 9, 16, 23, 30 at 11:30am. Online registration required. Join us for nursery rhymes, songs, cuddles and books appropriate for the youngest of the young. Learn how to introduce your child to words and language by incorporating songs into all your routines such as bath time, diaper changes, getting into the car seat and naptime! NOTE: Please bring a small blanket to lay your child on. Ages 6 months to 17 months. Fridays, May 3, 10, 17 at 11:15am. Online registration required. Join us for our early literacy enhanced storytime with books, music, rhymes, cuddles and fun! Online registration is required and is limited to Larchmont Library cardholders. Ages 6 months to 17 months. Tuesdays, May 7, 14, 21 at 11:15am. Online registration required. Join us for our early literacy enhanced storytime with books, music, rhymes, cuddles and fun! Online registration is required and is limited to Larchmont Library cardholders.